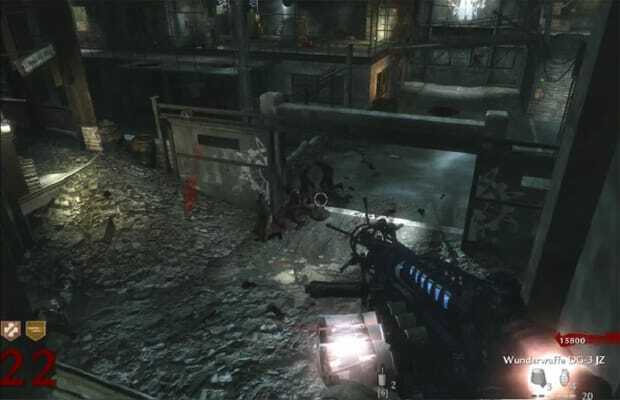 Like Killzone 2's Arc Rifle, the Wunderwaffe (German for Wonder-Weapon) shoots a bolt of electricity that hops between proximal enemies and fries their brains to the consistency of runny eggs, which happens to be exactly how zombies like them. Of course, that's the difference; while Killzone's Helghast are fiendish enough, the Wunderwaffe is only available in Call of Duty's Nazi Zombies mode, in which you fight god damned Nazi Zombies. Could anything on Earth or the moon be more hated, or more fun to kill?